I am up with 2 cards and a tag today! 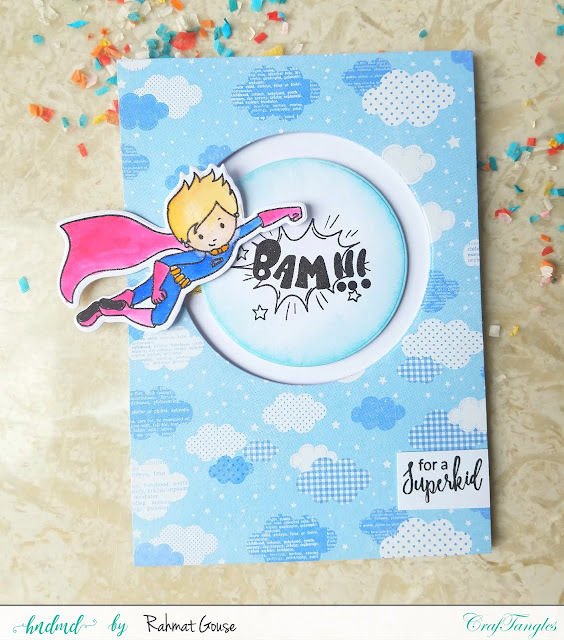 The first one up is using the Super boy stamp set. 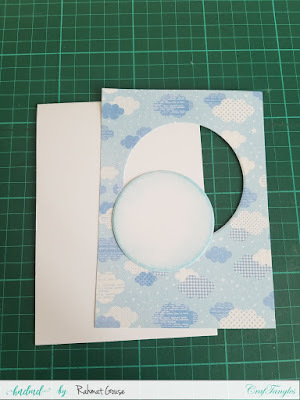 I used a white base, and used the clouds pattern paper from my stash, I had cut out the PP front using a circle die, and I used a white card stock to cut the circle in 1 step smaller using the nestled circle dies. I used tumbled glass distress ink to lightly sponge the white circle. 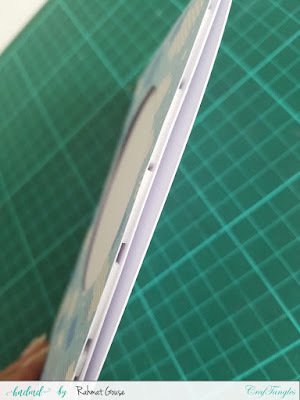 Used foam adhesive to add the PP front to the card base. 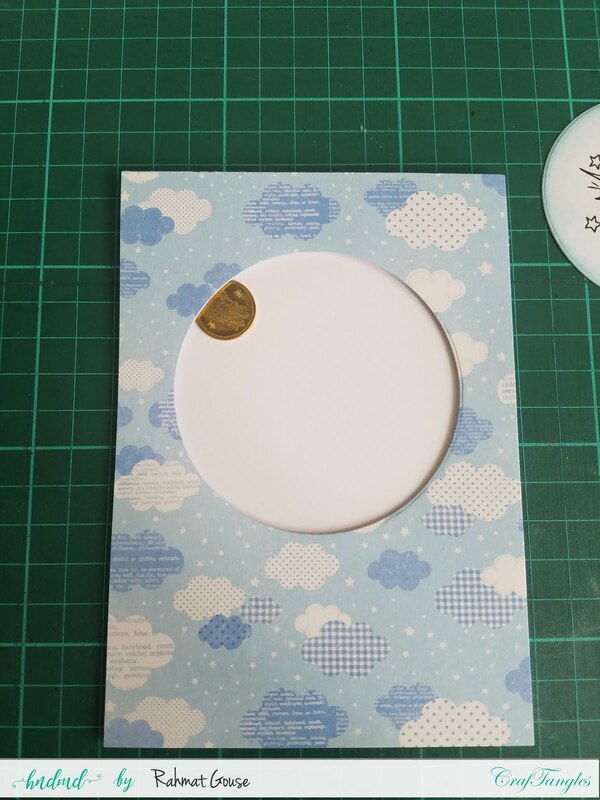 I then placed a small penny under the circle, make sure you leave out some space for the coin, when adding the foam adhesive. 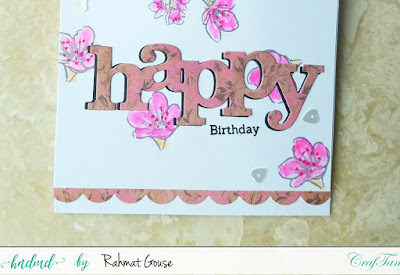 I stamped and heat embossed the sentiment on the circle, and added it using foam adhesive. Added the stamped, colored and die cut super boy to the coin using a foam adhesive. 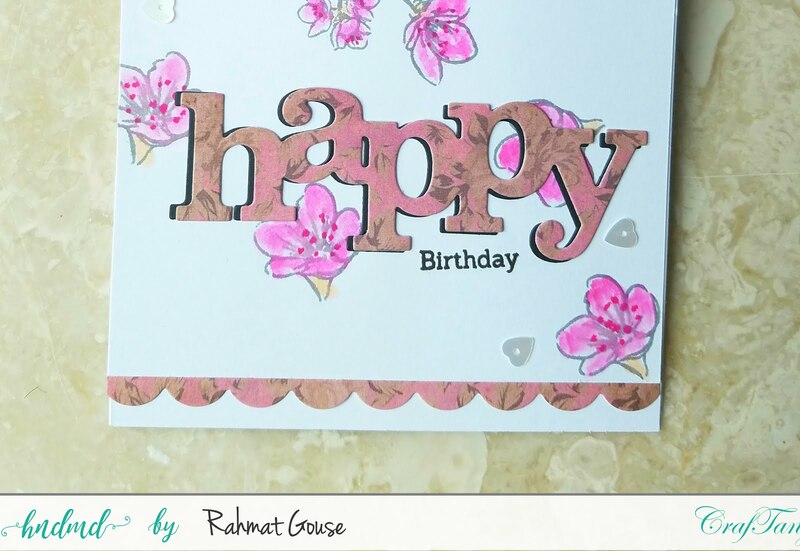 I stamped the sentiment from the same set and added to the bottom of the card. In my opinion it makes a perfect card for a kid with the sliding feature! 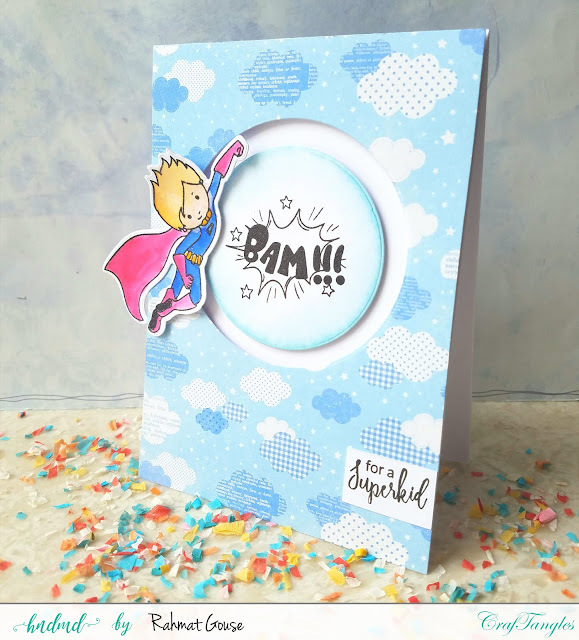 The second card is made using the Mom you rock set. 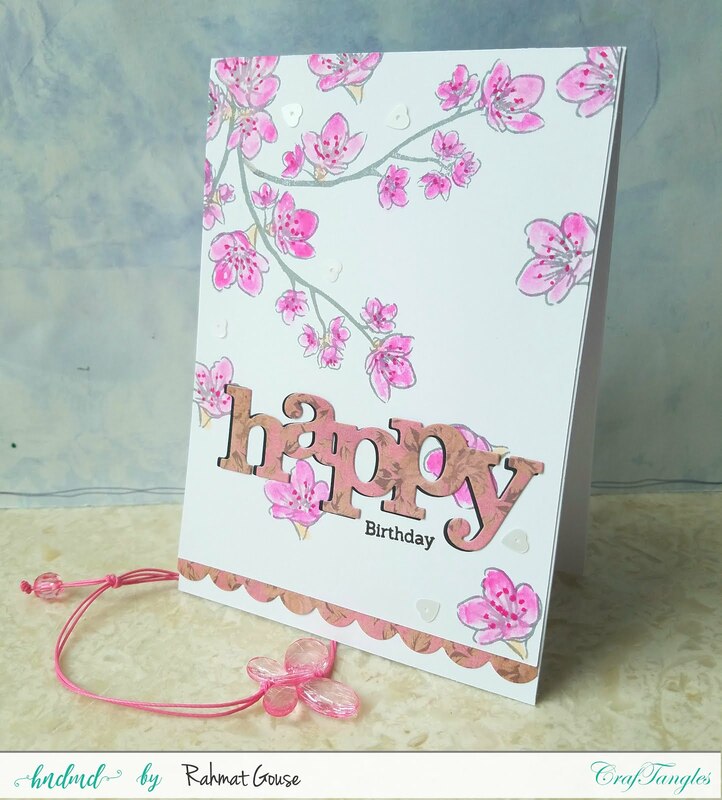 I had used the cherry blossoms and stamped in grey ink, and colored using markers, I opted for a brighter shade of pink this time, the inspiration was from my trip to Okinawa, Japan in February , I went there to see these special cherry blossoms which are brighter pink than the most of the Japan. I used a Happy word die and used the PP and a black card to cut and added the black die cut under the Pp die to give more interest. I also added a piece if PP at the very bottom of the card using scalloped die.Stamped a small Birthday sentiment, and finished off with few ivory hearts sequins. The last one is simple tag, I had used a left over swooshed piece from my stash and used the ripples stencil in white and grey ink to sponge in random. Then I used the PP and punched out a few flowers and added the yellow sequins for the centers. I added a white card to the tag. The sentiment is from Love is in the air on a white card strip. 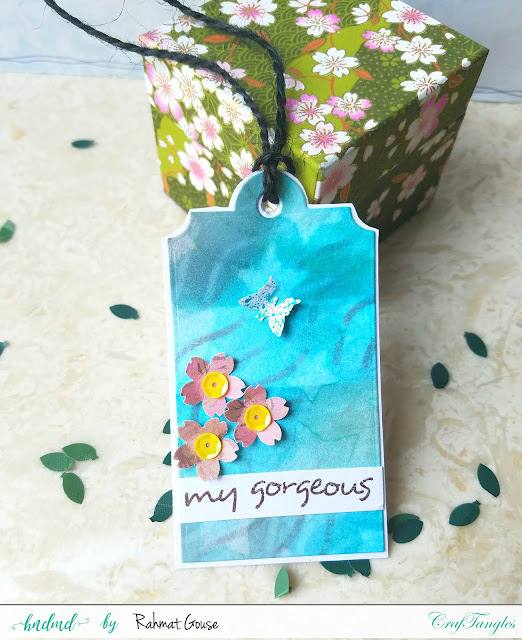 Finished off with a tiny butterfly, used a black twine to the tag. Beautiful creations, love the spinner one most!